VANCOUVER - Premier John Horgan and Opposition Leader Andrew Wilkinson have set a date to debate the merits of electoral reform. The two leaders will take part in a 30-minute debate to be televised on Global BC and broadcast on CKNW radio on Nov. 8, at 7 p.m.
A mail-in referendum is already underway in British Columbia, with ballots mailed to eligible voters asking them to decide on proportional representation or the current first-past-the-post system. Wilkinson says in a news release that the referendum is “a stacked deck in a rigged game,” and he accuses the New Democrats of manipulating basic constitutional rights to change B.C. 's voting system. The debate will be moderated by CKNW talk show host Lynda Steele and CBC morning show host Stephen Quinn. 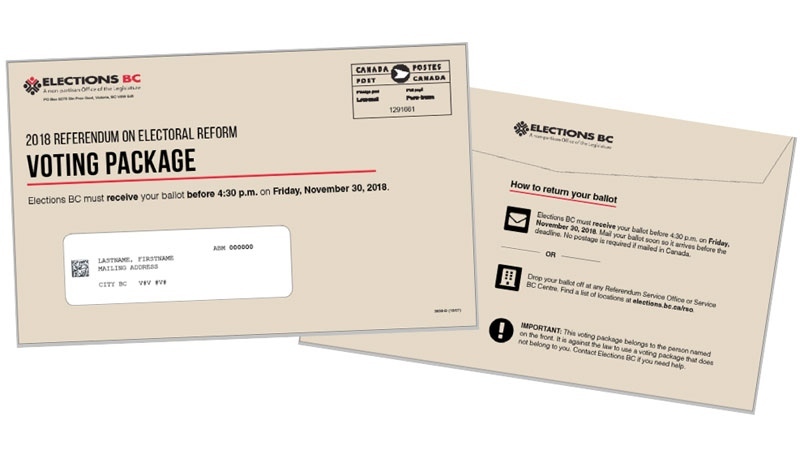 Elections BC began the mailing of ballots last week, and will continue sending them to registered voters across the province until Nov. 2.